Sport Wales and BBC Cymru Wales have unveiled a shortlist of volunteers and grassroots coaches for awards. The 15 are finalists for Wales Sport Awards 2015 after being picked out by an expert panel of judges. They will come together on 7 December in Cardiff to recognise the best of elite and grassroots sport in Wales. "These are the individuals who are the very heartbeat of what is being achieved," said Professor Laura McAllister, chair of Sport Wales. The shortlist includes coaches to disabled sports teams, local club coaches and categories for volunteers who work to organise and administer sports. "Community sport needs enjoyable experiences and opportunities to inspire more people to take part," added professor McAllister. "These are the coaches and volunteers who are leading the way in getting more people in Wales hooked on sport." Head of Sport at BBC Cymru Wales, Geoff Williams, said: "Each finalist has a hugely inspirational story to share. 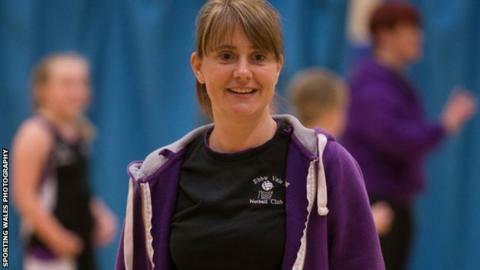 Caroline Matthews coaches Cardiff Celts wheelchair basketball team and is nominated in the coach to disabled people category. "Nurturing the next generation of sporting talent, as well as providing support for those who enjoy sport as part of their daily lives, is key to maintaining Wales' status as a world class sporting nation." The Wales Sport Awards is a partnership between Sport Wales and BBC Wales to create the country's biggest annual sporting celebration.